(Weaverville, NC) – Nearly 150 years after the final shots of the Civil War were fired, a new wave of volunteers will descend on America’s battlefields and historic sites – only these dedicated troops will wield paint brushes, trash bags and hammers in the line of duty. On Saturday, April 6, 2013, history buffs and preservationists from around the country will team up with the Civil War Trust to help clean and restore America’s priceless battlefields, cemeteries and shrines. Park Day is the nationwide volunteer effort created by the Civil War Trust, underwritten with a grant from History™ and endorsed by Take Pride in America, a division of the U.S. Department of the Interior. In Weaverville, NC, the Gov. Zebulon B. Vance Birthplace State Historic Site will participate in Park Day with a focus on fence restoration. 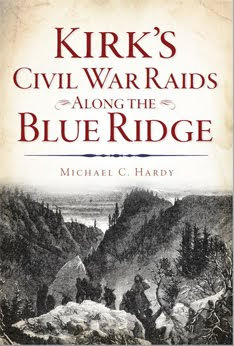 Noted Civil War Historian, Michael Hardy, will present a lecture and book signing at 1 p.m. Refreshments will be provided for volunteers free of charge thanks to The Vance Birthplace Support Associates along with water and coffee. For more information about Park Day at the Gov. Zebulon B. Vance Birthplace, please contact Chris Morton at (828) 645-6706 or chris.morton@ncdcr.gov. WHAT: “Park Day” historic preservation event at Gov. 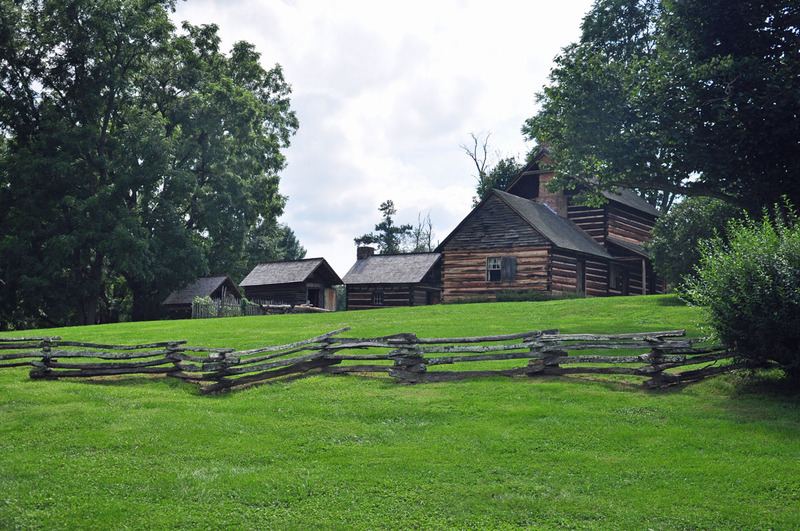 Zebulon B. Vance Birthplace State Historic Site. WHEN: April 5, 2013, beginning at 9:00 a.m.
WHERE: Gov. Zebulon B. Vance Birthplace State Historic Site, 911 Reems Creek Road, Weaverville, NC 28787. 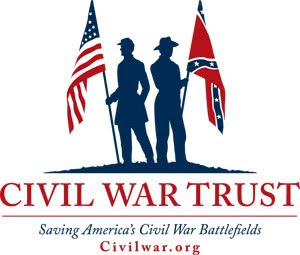 The Civil War Trust is the largest nonprofit battlefield preservation organization in the United States. Its mission is to preserve our nation’s endangered Civil War battlefields and to promote appreciation of these hallowed grounds. To date, the Trust has preserved more than 35,000 acres of battlefield land in 20 states. Learn more at www.civilwar.org, the home of the Civil War sesquicentennial. The Zebulon B. Vance Birthplace State Historic Site, an agency of the N.C. Department of Cultural Resources, is the childhood home of Zebulon Vance, North Carolina’s Civil War Governor. The site consists of the reconstructed Vance Home, six log outbuildings, a modern Visitor Center, and a picnic shelter. Located in the Reems Creek Valley, the site is twelve miles north of Asheville on Reems Creek Road. For more information call (828) 645-6706. RALEIGH – Heroic tales and valiant feats are depicted in images that reflect North Carolina’s dedication to the war in the “Freedom, Sacrifice, Memory: Civil War Sesquicentennial Photography Exhibit” (www.nccivilwar150.com). 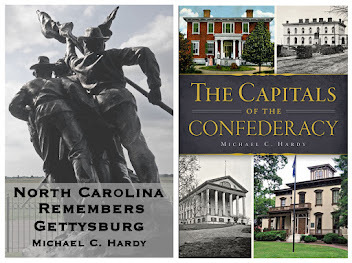 The Mount Airy Public Library will host the traveling exhibit April 8-28, sharing images and stories that capture the history and people of the Civil War (1861-1865). The N.C. Department of Cultural Resources will display 24 images from the State Archives (www.archives.ncdcr.gov), the N.C. Museum of History (www.ncmuseumofhistory.org) and State Historic Sites (www.nchistoricsites.org). The “Freedom, Sacrifice, Memory” exhibit has been traveling around the state on simultaneous eastern and western routes since April 2011, with 50 libraries and four museums showcasing its visuals that present gallant women, African American triumph and the perseverance of Confederate soldiers. A notebook accompanies the exhibit with further information and seeking viewer comments. One of the images is a portrait of three Confederate colonels who served with the 26th Regiment, N.C. 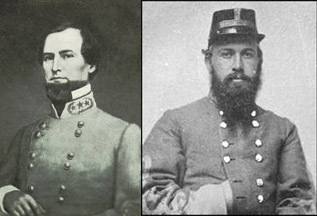 Troops: Zebulon Vance, who became governor; Henry Burgwyn, who was promoted when Vance resigned; and John Randolph Lane, who was Burgwyn’s lieutenant colonel. For information on the exhibit call the library at 336-789-5108. 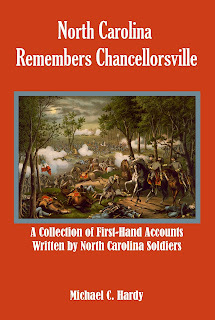 For tour information visit www.nccivilwar150.com or call 919-807-7389. RALEIGH – Since the beginning of the Civil War (1861-1865) 150 years have passed, but its widespread impact and defining characteristics remain vivid. These can especially be seen in North Carolina as illustrated by the “Freedom, Sacrifice, Memory: Civil War Sesquicentennial Photography Exhibit” (www.nccivilwar150.com). The exhibit will be hosted by Carteret County Public Library in Beaufort from April 2 to 28, commemorating the Civil War Sesquicentennial with a variety of images. The exhibit has been traveling around the state since April 2011 on simultaneous eastern and western routes, visiting 50 libraries and four museums with its showcase of 24 images. The N.C. Department of Cultural Resources (www.ncdcr.gov) commemorates the 150th anniversary of the Civil War with images gathered from the State Archives (www.archives.ncdcr.gov), the N.C. Museum of History (www.ncmuseumofhistory.org) and State Historic Sites (www.nchistoricsites.org). A notebook will accompany the exhibit with further information and seeking viewer comments. Among the exhibit’s pictures is one of a Union Army charge at Fort Fisher near Wilmington. At the time Fort Fisher was the largest earthen fortification in the world and received ships laden with supplies needed by Confederate Gen. Robert E. Lee’s Army. Fort Fisher fell to Union forces in January 1865. The fort and surrounding property in Kure Beach is now a state historic site. The exhibit was displayed by the N.C. Maritime Museum (NCMM) in Beaufort in January 2012. Currently the Civil War exhibit Watched by Sound and Sea: Occupied Beaufort 1862 at the NCMM examines the role of the Beaufort harbor as a resupply station for the Union Army. Call the Carteret County Public Library (252) 728-2050 for more information on the exhibit. Contact the Department of Cultural Resources (919) 807-7389 for tour information. On Wednesday, North Carolina governor Pat McCrory announced his budget proposal for 2013-2015. While there is much to be applauded in the budget, including a $139 million dollar surplus at the end of the year, the closing of five North Carolina historic sites, an estimated savings of a mere $498,712, is not an appropriate move. The historic sites which Governor McCrory’s budget plan proposes to cut are as follows: the Aycock Birthplace, the Polk Memorial, the Vance Birthplace, the House in the Horseshoe, and the Mountain Gateway Museum. In the interest of full disclosure, I must admit up front that I have not personally had the opportunity to visit the House in the Horseshoe nor the Aycock Birthplace. If you have followed me along on my journey for any length of time, you know that I enjoy visiting historic sites and museums more than most folks. But my travels have not yet taken me to these sites. Secondly, I am personally acquainted with the people at the Vance Birthplace and the Mountain Gateway Museum. And I've volunteered at both in some form or fashion over the years. There are only three North Carolina "historic sites" in western North Carolina. They are the Vance Birthplace, the Mountain Gateway Museum, and the Thomas Wolfe House in Asheville. By closing the first two, western North Carolina is left with only one: the Thomas Wolfe House. What detrimental effect will this have on our region? In 2011, tourism was a $18.4 billion dollar industry in North Carolina, and it had increased by eight percent from 2010. According to the annual report of the North Carolina Division of Tourism, Film, and Sports Development, tourism supported 188,400 jobs, and directly contributed $4.19 billion to the state's payroll in 2011. Visitors generated $2.8 billion in tax receipts. North Carolina ranked sixth out of the fifty states in tourism, and with historic sites and museums at 17.5 percent for overnight visitors. But these sites are far more important that just numbers. I live in western North Carolina. It is a great place. But there is no science museum like the one in Raleigh, there are not a half-dozen state-funded historic sites like those found in the Raleigh-Durham-Chapel Hill area. We have three state-funded historic sites for both the out-of-town visitor and local school children to visit. The Mountain Gateway Museum and Heritage center is the only western North Carolina museum dedicated to the mountain culture. The mountains of western North Carolina generate more than their fair share of tax revenue for our great state. Where else can people come and learn about the area from a state-sponsored museum? Concerning the Vance birthplace—it seems that until recently, everyone understood than Zebulon Baird Vance was the greatest governor we have ever had in North Carolina. While opposed to the Civil War, he nevertheless piloted our great state through those awful times, with great success. He served in the general assembly, the US House, as a three-term governor, and in the US Senate. We honored him by naming a county and town in Iredell County after him. He has a monument to his memory in Asheville, in Charlotte, in Weaverville, on the grounds of the state house in Raleigh, and one of our two statues in the US Capitol is of Vance (the other is of Governor Aycock). Is it possible that since Vance (and Aycock) held some views not considered politically correct today that we are attempting to relegated them to the footnotes of history? We seem to be suffering from a large degree of historical ignorance in this country. David McCullough, in an interview in the Wall Street Journal in 2011 said that, "We're raising young people who are, by and large, historically illiterate." The closing of any historic site just adds to that problem, depriving people who make the effort to self educate themselves the opportunity to become better North Carolinians, and better Americans. So, let me encourage you, my readers, to write to Governor McCrory and your representative in the General Assembly, and to sign the online petitions to keep our historic sites open. And even more, to devote the time and tax dollars to make them better places. Do you have a photo of my ancestor? Often, I get emails of people wanting a photo of their Confederate ancestor, or one of the regiment that their ancestor fought in. And my answer, ninety-nine percent of the time is the same: unless the photograph came down through your family (unless you have it), the chances of your finding a photograph are next to impossible. Over the past fifteen years, two of the seventeen books that I have written have been regimentals. There were a little over 2,000 men who served in each of these regiments. Counting pre-war, wartime, and post-war, I probably have photographs of perhaps 100 men out of each book. That is something like half a percent. Did the soldiers visit local photographers? Sure, if the photographers were around. Most of the photographers set up in studios in places in like Charlotte (although war-time images from Charlotte are rare), Raleigh, and Wilmington. Sometimes, you will see references to a soldier visiting a photographer, having his image struck, and telling the people back at home that he was going to send them the photo. Of course, what are the odds that that the photograph has survived the past 150 years? Some were damaged in the journey home; others have been lost over the years. A high number are in collections with no provenance. They were sold by family members and we no longer know who these men are, and from whence they came. While I hate to just throw out numbers, I'm going to do it. There were 126,000 (or so) Confederate soldiers from North Carolina. There might be somewhere between 1,000 and 2,000 war-time images out there. And regimental photos. I don't believe I have ever seen a photograph (correct me if I am wrong) of an entire Confederate infantry regiment. I have seen, maybe, a dozen Confederate company photos, all early war. 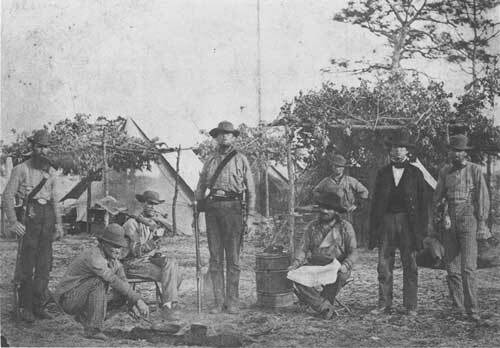 Probably the most famous would be the photograph of Alabama soldiers stationed in Pensacola, Florida (pictured below). There are a couple of early war Confederate company photos from North Carolina, but that is it. If any others exist, they are well hidden. 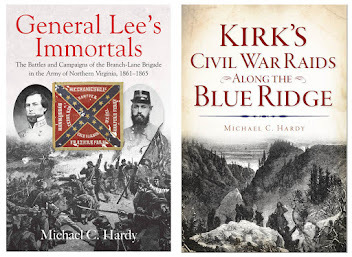 So, the chances of my having or knowing about a photograph of your Confederate ancestor in uniform, or a photograph of his regiment, are exceptionally slim. The best thing to do is to start asking around in your own family. And as a disclaimer, I don't have any photos of my own Confederate ancestors. I'll be hitting the road again this evening. Tonight, I'll be speaking to the Maj. Gen. Stephen D. Ramseur Camp, SCV. They meet at the Box Car Grille in Statesville at 6:00 pm, and they would love it if you would join them. Tuesday, March 19, I'll be speaking to the Col. John B. Palmer Camp, SCV. They meet at 6:30 pm at the Burnsville Towncenter in Burnsville, North Carolina. 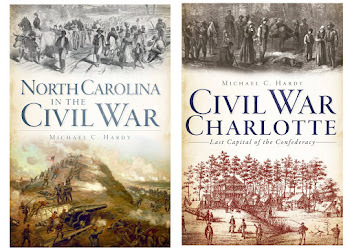 On Saturday, March 23, I'll be speaking and signing books all day at the Bennett Place Historic Site in Durham, North Carolina. Please stop by and bring a friend. Do you remember the old song (from the '50s, I think) - "It's my party and I'll cry if I want to"? Well, it is my birthday (not sixteenth, I'll admit) today, and while the weather is gloomy (rain and snow), I'm not crying. I do have a couple of announcements for you. First, my latest book, North Carolina Remembers Chancellorsville, will be released in about a month. 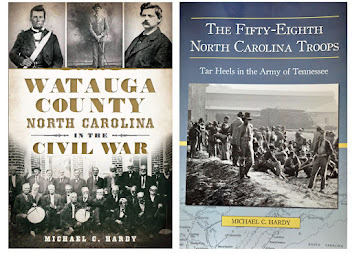 This project is collection of letters and accounts written by North Carolina soldiers about the May 1863 battle. Like North Carolina Remembers Gettysburg, these letters are something that you can take to the battlefield, and stand and almost see what the soldiers themselves saw. I really think that these collections of letters are an important aspect of preserving the war, and I am looking forward to working with Ten Roads Publishing on future projects. By the way, if your group is interested in a discussion about North Carolina and the battle of Chancellorsville, please drop me a line. Second. Most of you know that I have been fascinated with the Branch-Lane brigade for a long time. 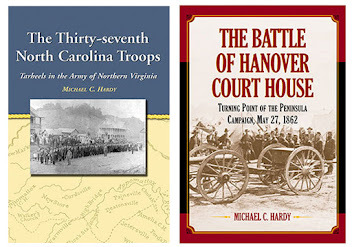 My first book was The Thirty-seventh North Carolina Troops: Tar Heels in the Army of Northern Virginia (2003). Later, I wrote The Battle of Hanover Court House: Turning Point of the Peninsula Campaign (2006). And there have been several articles about the brigade in Gettysburg Magazine and America's Civil War, among others. For the past few weeks, I've been talking to a publisher about writing a brigade history, and I'm happy to announce that I signed a contract a few days ago with Savas Beatie in California to write a book on this deserving brigade. I cannot begin to tell you how excited I am about this project. It is like visiting with old friends. More details will follow in the future. RALEIGH – Destruction was felt around homes and communities in North Carolina as backyards were turned into battlefields during the Civil War (1861-1865). Widespread suffering impacted all North Carolinians regardless of race, class and gender. The involvement of Confederate soldiers, African Americans and women is depicted in the “Freedom, Sacrifice, Memory: Civil War Sesquicentennial Photography Exhibit”(www.nccivilwar150.com), which will visit the Cameron Village Branch of the Wake County Public Library system March 3-29 in Raleigh and the Mooresville Public Library March 5-29. The exhibit will honor North Carolinians and their dedication throughout the Civil War with images gathered from the State Archives (www.archives.ncdcr.gov), the N.C. Museum of History (www.ncmuseumofhistory.org) and State Historic Sites (www.nchistoricsites.org). 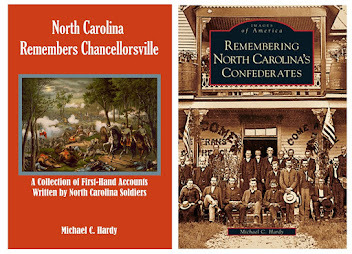 A total of 24 images will be displayed by the N.C. Department of Cultural Resources (www.ncdcr.gov) in 50 libraries and four museums throughout the state on simultaneous eastern and western routes from April 2011 through May 2013. A notebook will accompany the exhibit with further information and also seeking viewer comments. The collection depicts those involved in the war and includes images of artifacts and official documents. Amy Harper is one woman featured in the exhibit who exemplifies the hardships for women and families. The Johnston County home of Amy Harper’s family was converted to a field hospital during the Battle of Bentonville March 19-21, 1865, where more than 500 wounded soldiers received care. Today the Harper House still stands and can be visited at the Bentonville Battlefield State Historic Site near Four Oaks. For information on the exhibit call the Wake County library at (919) 856-6710 or the Mooresville Library at 704-664-2927. For tour information contact the Department of Cultural Resources at (919) 807-7389.